Jade lake and the surrounding gardens at Chateau Montelena Winery, Napa. 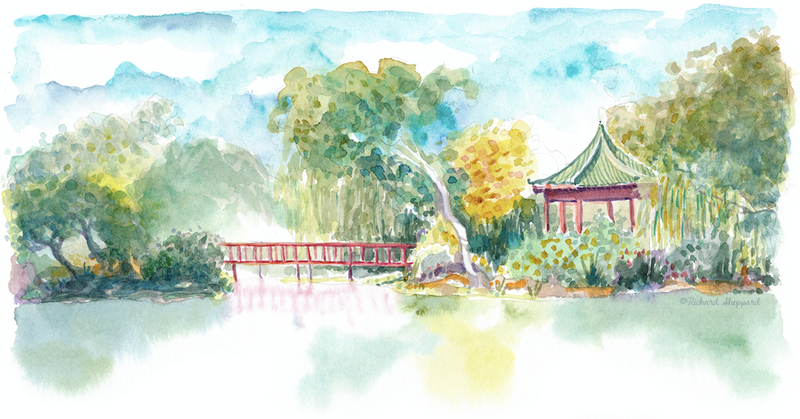 Watercolor in handmade sketchbook.Jade lake and the surrounding gardens at Chateau Montelena Winery, Napa. Watercolor in handmade sketchbook. From my book Impressions of Wine Country. May 15, 2016 May 15, 2016 Richard SheppardComments are off for this post.